T-bone had his ear procedure on Tuesday and all went perfectly! They were able to freeze the growth in his ear without having to put him under - yay! 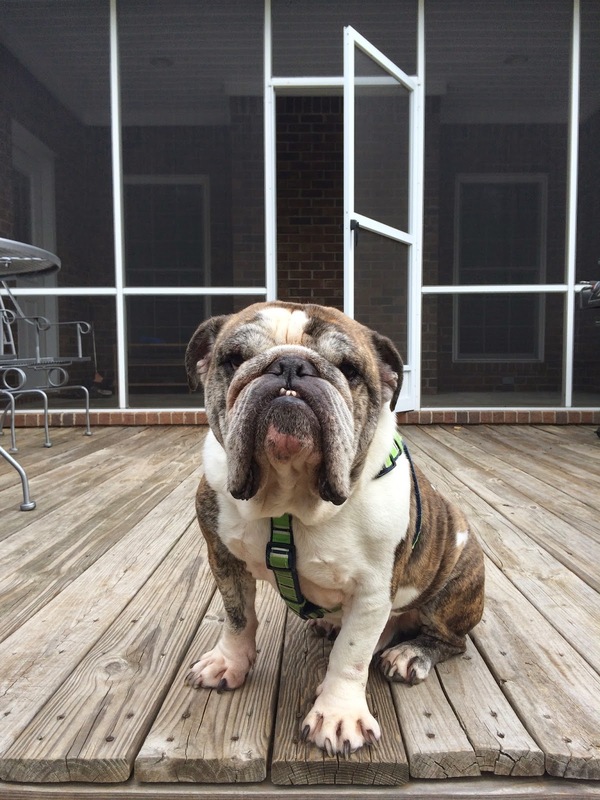 I alway worry to death about having to put a bulldog to sleep for a procedure with all their airway problems. So, I have 3 happy and healthy pups! T-Bone weighs 55 lbs, Sarge is 47 lbs, and Stella is 43 lbs. Big babies!! 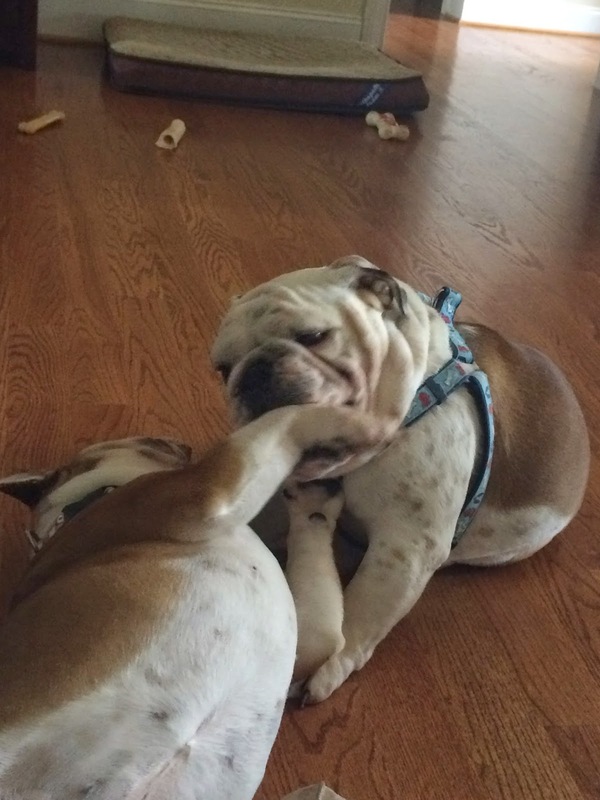 Sarge & Stella playing and taking turns biting each others feet! It was hysterical! I'm happy that all went well - enjoy your three wonderfully big babies!